After a jury awarded over $35 million to a woman in a medical malpractice case (later reduced to $32.5 million), the defendant appealed the verdict on a number of grounds. This case involves a woman who was a marathon runner and exercise class instructor who complained of dizziness. An MRI revealed that she had a “venous varix” in her brain, which is similar to an aneurysm. However, this was not found to be the cause of her dizziness. Her primary care doctor, an employee of the defendant, received a copy of this MRI but never noted the venous varix on her problem list. A few years later she became pregnant. Since her obstetrician did not know about her venous varix, and she had no way of knowing it was relevant, she did not have a Caesarian section as recommended for people with the condition and instead gave birth naturally. Some hours after giving birth she suffered a debilitating headache and went into a coma for a month. After the coma her left side was paralyzed and she now has difficulty chewing, swallowing, and speaking. She will most likely need 24/7 care for the rest of her life. Based on these facts, at the initial trial the jury awarded her $35 million which was later reduced due to a calculation error. The hospital appealed. A woman in Rochester filed suit last month in Strafford County Superior Court for medical negligence and violations of the Massachusetts Consumer Protection Act after becoming highly addicted to the potent painkiller Subsys, which is stronger than morphine and heroin.Her Portsmouth attorney filed the lawsuit on Wednesday in Strafford County Superior Court. Among the defendants, the lawsuit names a physician’s assistant who treated and prescribed painkillers to the woman from the fall of 2012 to the summer of 2015. The center that prescribed the medication is also listed as a defendant. Finally, Colby is suing the drug’s maker, Insys Therapeutics. Gena Paretchan brought a medical malpractice action against Dr. Edward Kwasnik, a surgeon who performed a laparoscopic cholecystectomy on her, and Dr. Gaurav Sharma, a surgical resident who assisted Dr. Krasnik during the procedure. Paretchan experienced complications for a month after the procedure with repeat hospital visits, tests, and ultimately a surgery to repair a bile duct disruption. 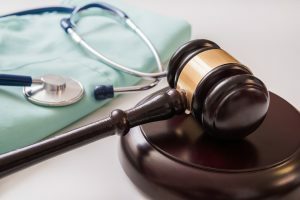 A medical malpractice tribunal determined that the offer of proof was insufficient to raise a legitimate question of liability as to both defendants. After Paretchan failed to post a bond, and judgment was entered for the defendants, Paretchan appealed. On appeal, the court reversed the judgment for the defendants.Before considering the lower court’s decision, the appeals court reviewed the facts of the case. Paretchan had a history of symptomatic gallstones with multiple attacks. In October 2012, the defendants performed a laparoscopic cholecystectomy to remove her gallbladder. 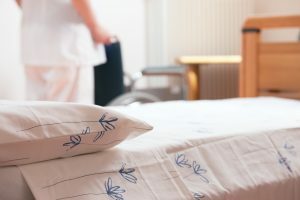 Her worsening abdominal pain, nausea, and vomiting after discharge led Paretchan to seek medical attention, including multiple emergency room visits. An exploratory laparotomy was subsequently performed, and a right anterior bile duct disruption was found. Paretchan underwent surgery to repair this injury. The FDA recently cracked down on three major Massachusetts hospitals–Mass. General, Brigham and Women’s, and UMass Memorial–for not adequately reporting patient deaths and injuries caused by medical devices. Federal regulators also faulted a dozen additional medical centers across the nation–including well-known hospitals in Los Angeles, Boston, and New York–as part of an effort to detect problems before they cause widespread harm.Regulators inspected 17 Massachusetts hospitals over a two-year period with a focus on contaminated instruments, which have the potential to spread infection. There was particular concern over duodenoscopes, which are used to view the small intestine, and the power morcellator, a surgical device that breaks up tissue and may spread uterine cancer in women.